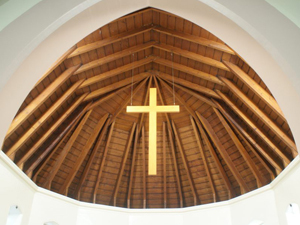 A monthly service of Holy Communion on the first Wednesday of every month at 1.30pm in Girvan South Parish Church, followed by tea/coffee and a time of fellowship. Led by the Rev Jim Geen. 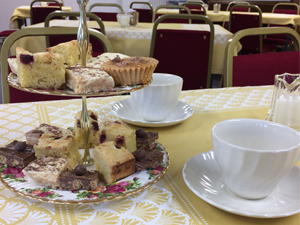 Short, reflective service of Holy Communion in the church, followed by refreshments. This is a shorter service than on Sundays with a smaller group attending, and is a great opportunity for reflection, prayer and fellowship. Fifth Sunday of Lent. Our main weekly service is on a Sunday morning at 11.15, followed by tea, coffee and a chance for a chat. Palm Sunday Traditional Palm Sunday service with Holy Communion, palm crosses and a procession. There will be tea, coffee and a chance for a chat following the service. 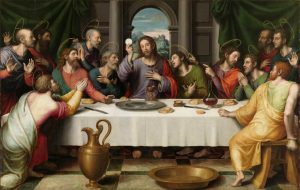 A meal with the sharing of bread and wine to commemorate the Last Supper. All are welcome. As the first light of Easter morning appears we will be gathering in the church garden to celebrate the risen Christ. The service is followed by breakfast in the church hall. All are welcome to join in the celebrations with us. Easter Sunday. Our main Easter Service when we meet to celebrate with music, prayer and Holy Communion. Second Sunday of Easter. Our main weekly service is on a Sunday morning at 11.15, followed by tea, coffee and a chance for a chat.